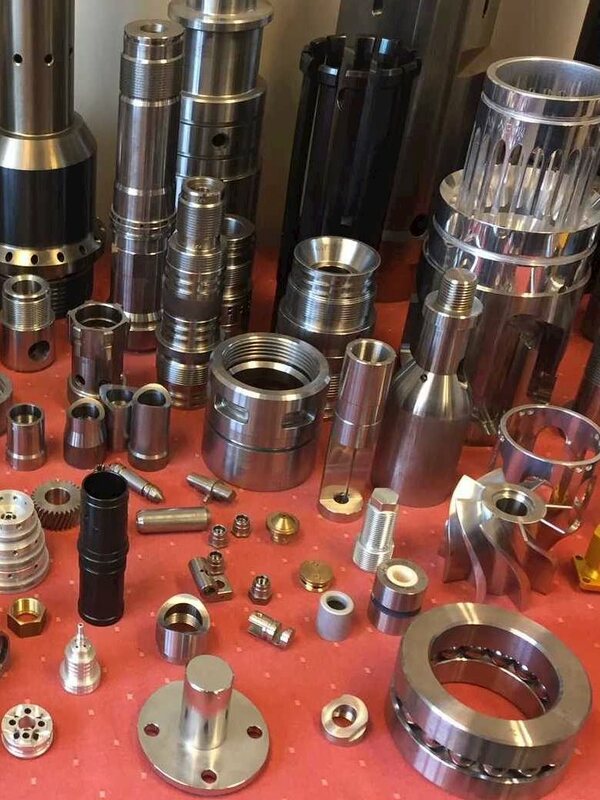 Fagersta, November 2018 — From before the Industrial Revolution until the present day, manufacturers have shared common goals: producing a certain number of parts, in a certain amount of time, at a certain cost. Manufacturing processes evolved from craft-made single-item methods to mass production lines and output of increasingly greater numbers of identical parts: a high-volume/low product mix (HVLM) scenario. Most recently, digital technology in programming, machine tool controls and workpiece handling systems are facilitating a manufacturing environment known as Industry 4.0 that enables cost-efficient manufacture of highly diverse parts in small batches: high-mix/low-volume (HMLV) production. In the era of Industry 4.0 it is fashionable to highlight the newest production techniques and digitalization technologies. However, maximum productivity and cost-efficiency still are based on a foundation of operational excellence. In the present economic environment, manufacturers generally consider speed to be a key indicator of operational excellence. A drawing comes into a facility and eventually a completed workpiece leaves the plant; manufacturers want the time between the two events to be as short as possible. Efforts to boost speed typically focus on strategies such as e.g. lean manufacturing or Six Sigma. However, those strategies generally relate to HVLM production and are not always effective when applied in HMLV scenarios. 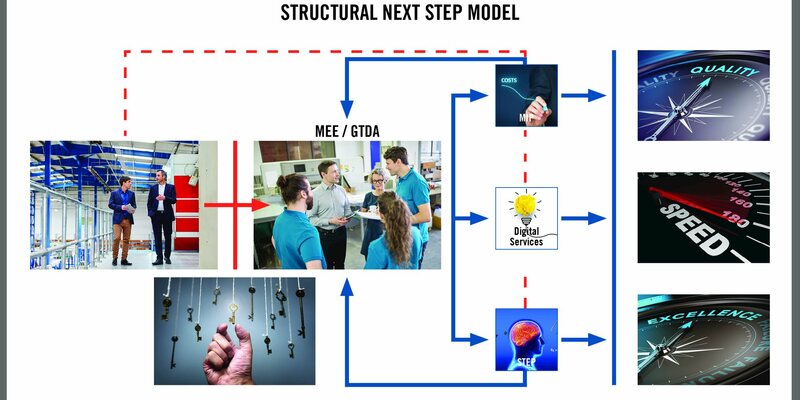 An important contributor to streamlined HMLV output is the Group Technology approach, in which classifying and coding parts into machinable families enable a shop to achieve the highest level of operational excellence. Group Technology is a manufacturing organizational strategy in which parts with certain similarities such as geometry, material, manufacturing process or quality standards are classified into groups or families and manufactured under a common production method. Operations are planned for the part family rather than individual workpieces. Very often when production is organized to handle part families, the arrangement is described as cellular manufacturing. Cellular manufacturing came to prominence in the 1980s, roughly when the era of HMLV production began. Manufacturers recognized that batch sizes were shrinking while the variety of workpieces and new workpiece materials were growing. Shops were confronted with a high diversity of different workpieces, produced in comparatively small batches. Time spent preparing for production rose exponentially, and manufacturers sought to control it. The creation of part families in Group Technology is based on part codification and classification. 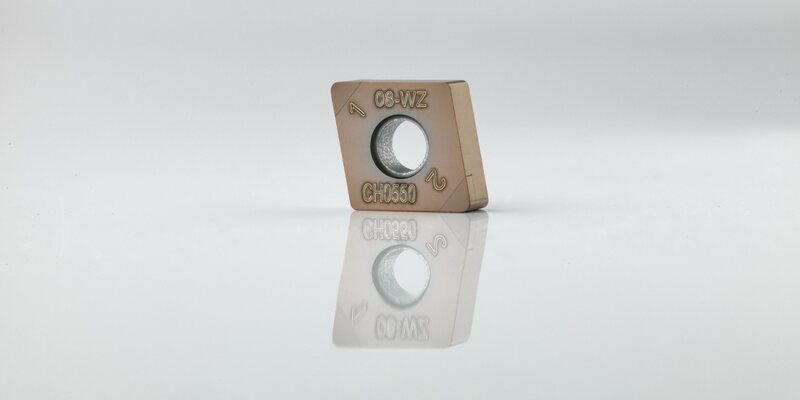 Each part is assigned a code consisting of letters or figures or combinations thereof, and each individual letter or figure represents a certain feature of the workpiece or a production technique that is required to produce the workpiece. In Figure 1 the 6th digit in the part code represents workpiece dimensions, the 7th digit the raw material, the 8th digit the original shape of the workpiece material, and the 9th digit the level of quality required. Digits 3 through 5 describe the operations required to machine the part. 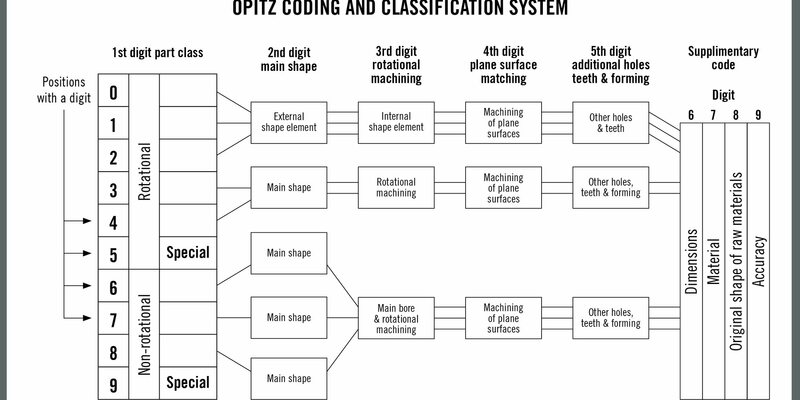 The part codes are used to plan production and make price quotes by referring to an imaginary or non-existent part called a complex workpiece, as shown on the second line of Figure 2. 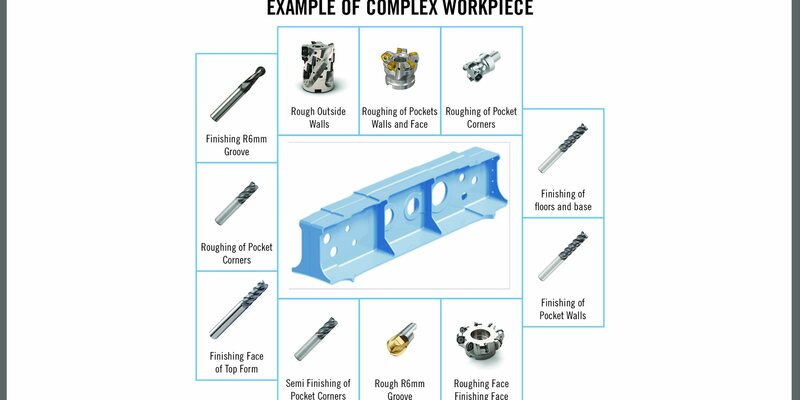 Complex in this case does not mean difficult; it describes a generic workpiece that illustrates all the features that a company is able to create, such as high- and low-accuracy holes, deep and shallow pockets, side milled features, etc. The parts on the first line of the figure represent workpieces that can be produced with operations selected from those described on the complex workpiece in the second line. Summing up the costs of producing the required features produces a representative total cost and simplifies estimation of pricing. It is not necessary to analyze the costs on an individual part-by-part basis. Production planners and estimators work with a drawing of a workpiece and develop a price quote by matching features on the workpiece with those on the complex workpiece and also determine other production elements such as the machine tool required, whether coolant will be needed, etc. 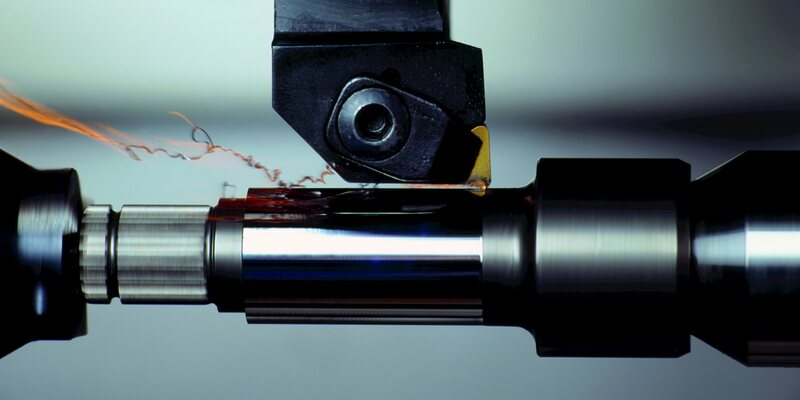 In addition, executing the Group Technology technique with the help of a sophisticated CAM system further reduces pre-machining engineering time requirements. Additional benefits include improved communication between departments in a facility as they all work from the same complex workpiece model. The Group Technology approach initially was based on experience as personnel developing it interviewed process engineers, programmers and planners to gather information regarding the cost of various production operations. Although the development occurred in the 1980s, compiling individual experiences and data and organizing them into a system was a process that resembles today’s initiatives in artificial intelligence. In some cases, Group Technology prompts reorganization of the shop floor. 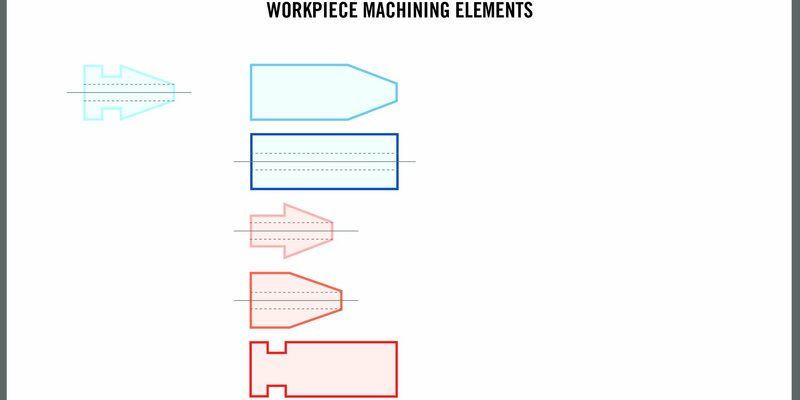 The left side of Figure 3 shows the circuitous path parts take through a shop that is organized in a traditional layout based on machine functions including turning, milling and grinding. 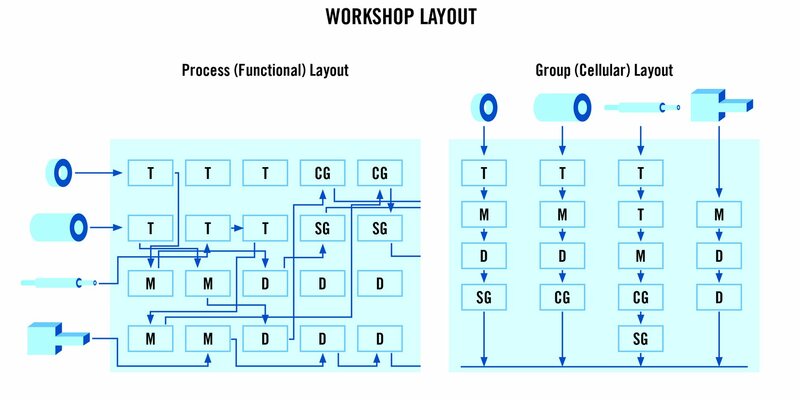 However, when workpieces are grouped and processed as families in a cellular layout, shown at the right in the figure, machine tools can be arranged to streamline manufacturing flow and minimize part movement within the shop. Each different workpiece family is machined in the most efficient way without unnecessary transport within the shop. Significant reduction of the time required to produce the parts is the result. 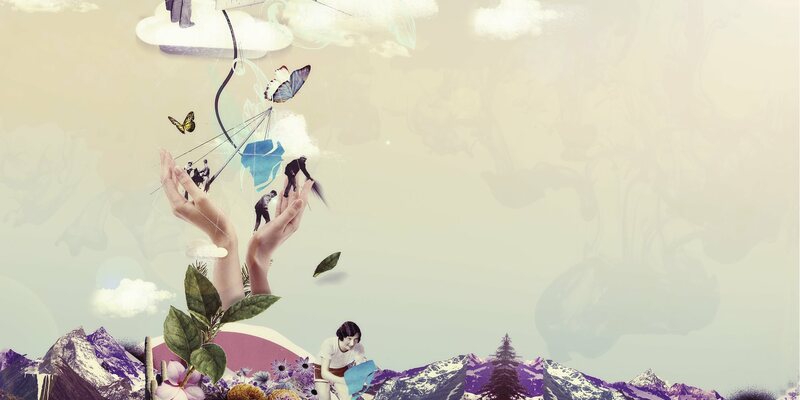 As always, the adoption of new concepts offers both benefits and challenges. The Group Technology approach offers benefits in engineering, process planning and manufacturing time savings, but possible challenges exist as well. First, to some extent the Group Technology approach reduces flexibility. The traditional shop setup is more flexible if there is a significant increase in demand for a certain workpiece configuration that creates a production bottleneck. In the traditional layout other machines in the department can be used to produce the parts. 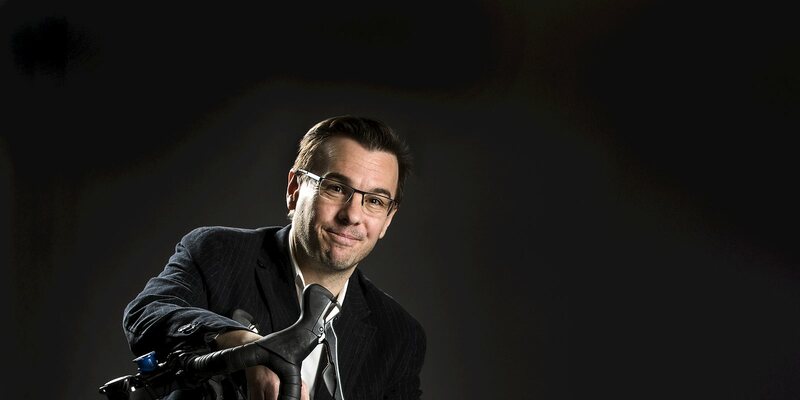 Secondly, managing machine downtime can also be a challenge. If one part family experiences a temporary decline in demand, the machines in the cellular layout will be idled. Another possible difficulty arising from implementation of Group Technology concepts is a tendency to spend an excessive amount of time comparing one coding system to others. More important than the specific coding system itself, however, is that a company should thoroughly know its equipment and resources and the results desired. In that case, a custom coding system created in-house can be a simple and efficient approach. Possibly rearranging the shop floor to machine part families more efficiently is another facility-specific decision. It may be easier for larger companies to realign their machinery while smaller companies may face economic constraints and other factors. The Group Technology approach to creating part quotations can increase both revenue and profitability. An example comes from an aerospace subcontractor in an HMLV production environment, with batch sizes from one to five workpieces, that receives about 4,000 price requests per year. Insufficient time to analyze and quote each part separately slowed the pricing process and the shop could make serious quotes for only 1,500 of the 4,000 possible jobs. About 2,600 orders were received. Then, using analysis supported by Group Technology initiatives and quoting parts using complex workpiece information, the subcontractor found it could make 3,000 serious quotes per year. More serious quotes attracted more orders, to the level of 3,200 annually. Most importantly, the bids, based on cost plus profit, averaged more than 30 percent lower than the bids made before the application of Group Technology concepts. The faster, more accurate quoting process had two benefits. There were fewer incidents of erroneous underbidding that negatively affected profit margins, and there were fewer quotes that were inaccurately high and discouraged customer acceptance. Implementation of Group Technology concepts gave the manufacturer more control over what was being done and how much it cost, and reduced the incidence of inaccurate quotes. 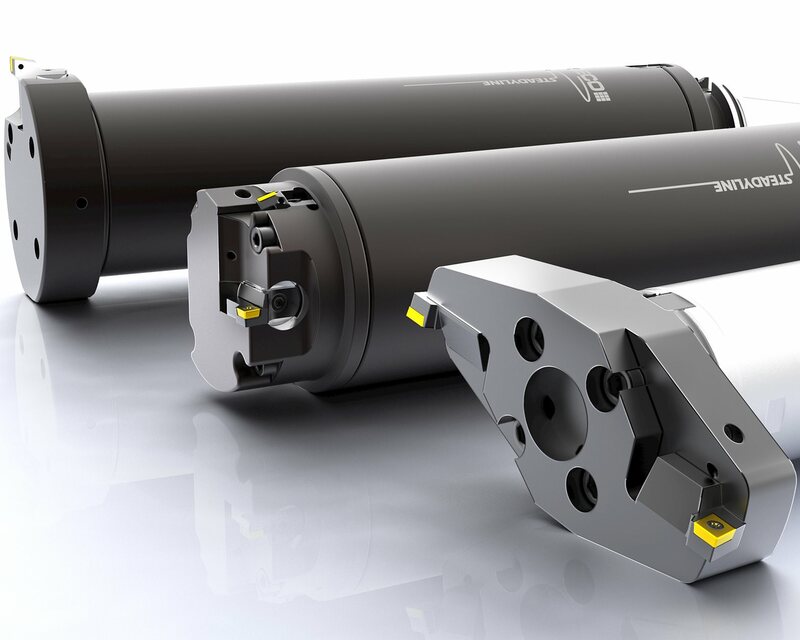 Group Technology dictates that instead of thinking through every individual workpiece and its production parameters, parts with similar characteristics are grouped and machined together. In a clear example of this approach, a shop was producing pulleys for a belt-style transmission. For use with different belt sizes, the diameters, widths, and profiles of the belt groove differed from pulley to pulley. The changeover time between machining of different configurations was about an hour and a half. Analysis of the process showed that for each changeover between pulleys the machine was completely dismantled, and all the tools were taken out and cleaned and stored. To machine the next pulley, most of the same tools were put back in the machine. Under the Group Technology approach, the similar but not identical wheels were grouped as a family. Changeover then involved changing the NC program, altering some machining parameters and sometimes changing the tool that machined the groove profile. Depending on the workpiece, changeover time dropped from one and a half hours to ten minutes. The key challenge was convincing shop personnel that the parts they were making belonged to the same family and could be machined much more quickly. The Group Technology manufacturing organizational strategy (on which Dave Morr from SECO in Australia have done extensive development work) helps manufacturers efficiently handle the challenges of HMLV production. Traditional productivity-boosting strategies such lean manufacturing and Six Sigma provide proven benefits, especially in HVLM production where operations can be fine-tuned over long runs of identical parts. However, highly diverse, small batch manufacturing continues to grow in prominence, aided by advances in machining technology and digital product design and management. By classifying parts into families and consolidating pricing activities and machining operations, the Group Technology approach provides manufacturers with an efficient way to manage the challenges of the Industry 4.0 era. The Group Technology manufacturing organizational strategy is an important element in achieving operational excellence and can be a valuable contributor to a manufacturer’s overall efforts. However, competition forces many manufacturers to focus almost solely on producing a specific number of parts on time at a specific cost and do not have the time or expertise to closely analyze and optimize their business and machining operations. Seco has created a new branch operation that aims to assist mid-size companies that have resources available to apply to manufacturing improvements but insufficient funds to absorb the high cost of employing a process improvement engineer or work with a big business consulting firm. Seco Consultancy Services (SCS) helps manufacturers balance overall manufacturing and business issues with machining efficiency and economy. SCS is brand neutral and works with the user’s current tools regardless of the brand. The first step in taking advantage of SCS is a Manufacturing Efficiency Evaluation (MEE) effort that consists of analysis of machining, production system, and operational management performance. SCS analyses a company’s capabilities and examines issues in preparation, machining and equipment handling. Root causes of capability/asset issues as well as employee knowledge shortcomings are revealed. Preparation analysis includes programming support and standardization of methods and parts. 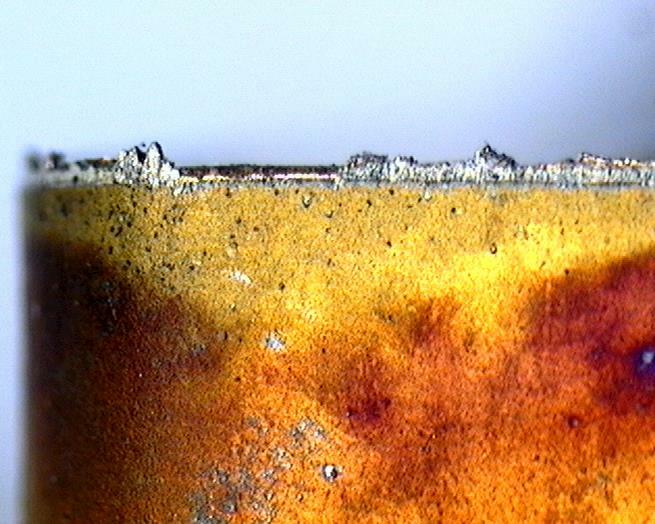 Machining issues are recognized and handled via method optimization and troubleshooting. Stock and consumption visualization and tool management programs solve equipment handling issues. Throughout the SCS program, the Seco Technical Education Services (STEP seminars and courses) offers help in educating manufacturing company staff. A major aspect of the service involves convincing shop personnel to adopt new strategies. Putting a poster on the wall describing the new approaches has minimal effect. That is because the issues most often are not about knowledge, but actually involve personnel who are convinced that the traditional solution is best. The key to success is convincing personnel to recognize the benefits of the new strategies and have the discipline to implement them.